lil chung's lil adventures: My First Lobster Roll! Now that I'm back living in Houston after a three year hiatus, I've noticed some changes around the city: more high-rise condos, even more traffic and the disappearance of my favorite cupcake in the city. (It appears that I need to find a new favorite cupcake in Houston). 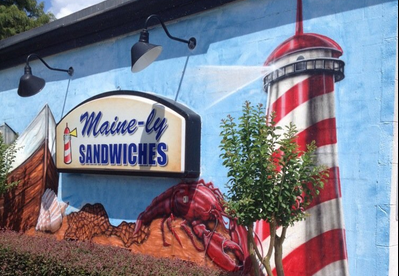 But in place of Sugarbaby's Cupcake Boutique is the sandwich shop Maine-ly Sandwiches, a New England, nautical-themed restaurant. I've been on the hunt for a lobster roll since the summer and Maine-ly Sandwiches seemed to be the place where I could finally try one! I know, I know, lobster rolls outside of New England is not the ideal place to sample a lobster roll for the first time. But since I don't see any trips out to the Northeast in the near future, this is my only option. 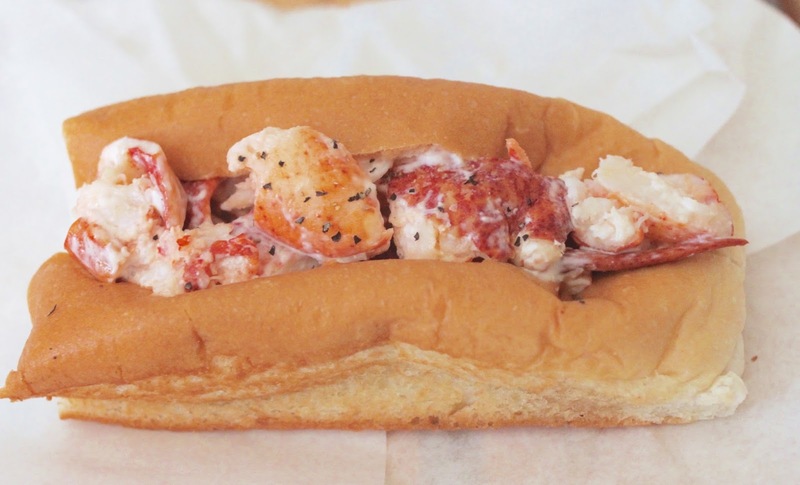 So what makes a good lobster roll good, you ask? According to Serious Eats, it's all in the simplicity of balancing the highest quality ingredients. 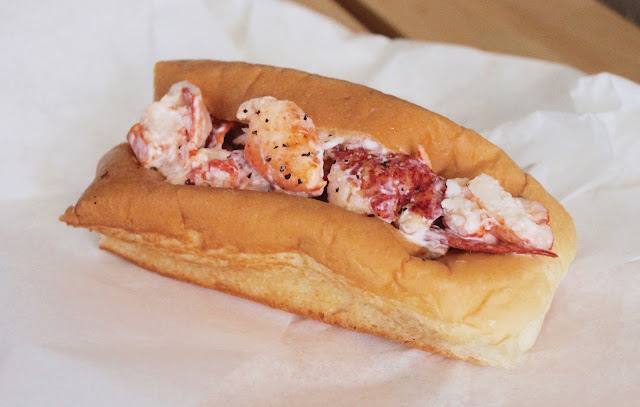 A lobster roll should have a buttered, toasted roll, stuffed with lightly dressed lobster chunks in mayonnaise. Sounds simple enough and I couldn't wait to see what all the hype was about. The verdict: simple and satisfyingly delicious. The lobster was tender but a tad bland. The roll was buttery and a little garlicky and oh-so-tasty. I also could have used more lobster since the bread to lobster ratio was a bit high. This particular sandwich was served slightly warmed and with steamed lobster but it can be steamed, roasted or boiled. I'd say this was a successful foray into lobster rolls. Maybe I should plan a culinary trip to New England in order to eat an authentic one. Until then, Maine-ly is a decent substitute.